Dental care is provided by dentists and dental hygienists through regular check-ups, cleanings and restorative procedures. Outstanding dental care is provided by Community Health Connections to help patients prevent periodontal gum disease, tooth decay and to care for dental problems. If you or a family member is in need of dental care, Community Health Connections is a great choice for prompt, personal dental care from dedicated and experienced dental professionals. Community Health Connections provides high quality dental care. Good oral health is closely linked to overall health. Dental care is an important part of staying healthy, preventing gum disease and tooth loss. As a dental care provider, Community Health Connections offers comprehensive dental care, including dental exams, cleanings, x-rays, sealants, fillings, root canals, crowns, bridges, dentures and more. If you need to see a dentist to fix a dental problem or need a regular dental check-up or teeth cleaning give Community Health Connections a call. 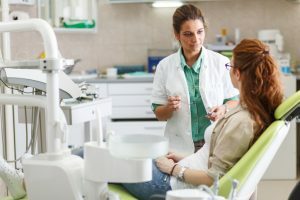 Dental care is part of Community Health Connections wide range of healthcare services which also include primary medical care, behavioral health, substance use disorder treatment, and optometry services.